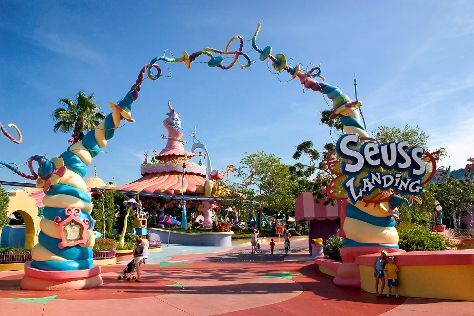 Pack the 27th (Wed) with family-friendly diversions at Universal's Islands of Adventure. Have a day of magic on the 28th (Thu) at Walt Disney World Resort. There's more to do: get in on the family fun at Universal Orlando Resort. To see ratings, more things to do, where to stay, and tourist information, read Orlando tour itinerary builder . Perth, Australia to Orlando is an approximately 32-hour flight. You can also do a combination of bus and flight. The time zone difference moving from Australian Western Standard Time (AWST) to Eastern Standard Time (EST) is minus 13 hours. Traveling from Perth in February, expect Orlando to be slightly colder, temps between 28°C and 15°C. Wrap up your sightseeing on the 1st (Fri) early enough to travel to New York City. New York City is known for museums, nightlife, shopping, historic sites, and parks. Your plan includes some of its best attractions: go for a walk through Central Park, appreciate the history behind Statue of Liberty National Monument, take a stroll through Times Square, and take in panoramic vistas at Empire State Building. For maps, ratings, more things to do, and other tourist information, read New York City road trip planning website . Fly from Orlando to New York City in 6 hours. Alternatively, you can do a combination of flight and bus; or drive. Expect much colder temperatures when traveling from Orlando in March; daily highs in New York City reach 11°C and lows reach 1°C. Wrap up your sightseeing on the 6th (Wed) to allow time to travel to Boston. Boston is known for historic sites, museums, parks, shopping, and nightlife. Your plan includes some of its best attractions: admire the masterpieces at Museum of Fine Arts, don't miss a visit to Boston Public Library, get in on the excitement at Frog Pond, and wander the streets of Newbury Street. To see reviews, where to stay, traveler tips, and other tourist information, refer to the Boston holiday planner. You can do a combination of bus and flight from New York City to Boston in 3 hours. Alternatively, you can fly; or drive. Traveling from New York City in March, expect Boston to be slightly colder, temps between 7°C and -1°C. Finish your sightseeing early on the 9th (Sat) so you can travel to Los Angeles. Change things up with these side-trips from Los Angeles: Anaheim (Disneyland Park & Disney California Adventure Park). Pack the 11th (Mon) with family-friendly diversions at Universal Studios Hollywood. There's still lots to do: see the interesting displays at The Getty Center, explore and take pictures at Staples Center, get to know the fascinating history of Santa Monica Pier, and admire the striking features of Walt Disney Concert Hall. To find maps, where to stay, traveler tips, and tourist information, refer to the Los Angeles online driving holiday planner . Traveling by flight from Boston to Los Angeles takes 7.5 hours. Alternatively, you can do a combination of bus and flight; or drive. Due to the time zone difference, you'll gain 3 hours traveling from Boston to Los Angeles. Traveling from Boston in March, expect Los Angeles to be warmer, temps between 27°C and 14°C. Finish up your sightseeing early on the 14th (Thu) so you can travel to San Francisco. San Francisco is known for nature, museums, nightlife, shopping, and childrens museums. 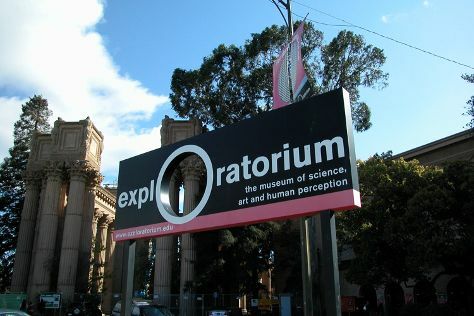 Your plan includes some of its best attractions: take in the views from Golden Gate Bridge, engage your brain at Exploratorium, admire all the interesting features of Golden Gate Park, and head off the coast to Alcatraz Island. To see more things to do, ratings, maps, and tourist information, read San Francisco sightseeing planner . Fly from Los Angeles to San Francisco in 4 hours. Alternatively, you can do a combination of flight and train; or drive. Expect little chillier weather when traveling from Los Angeles in March: highs in San Francisco hover around 21°C, while lows dip to 11°C. Wrap up your sightseeing on the 18th (Mon) early enough to travel back home.